August is the month that summer is in full bloom. Backyard barbecues and potluck parties seem to happen just about every weekend this time of year; the delicious haze of neighborhood grills perfuming the air with tantalizing scents. I love a burger hot off the grill or a bratwurst piled high with fresh fixings. A few of my friends are experts at smoked meats, and my mouth waters at the thought of brisket or chicken piled high on my plate. As delicious as all these special summer meats are, they’re a little lonely on their own. So, over the years I’ve perfected a few delicious pasta salads. I also make a decent potato salad, and anyone who knows me knows that if dessert is called for, I’ll have just the thing. The last item on my list for a perfect cookout is baked beans, but until now my offerings in that category have been disappointing. 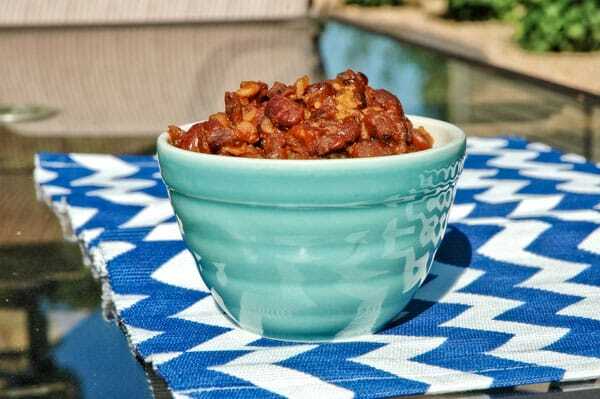 About as American as apple pie (another great addition to a summer party), baked beans are all the things I love about summer: sweet, warm and satisfying. Until now, I generally relied on recipes that started out with a commercially prepared version of baked beans, adding a few of my own ingredients to dress it up. I usually ended up with a side dish that was okay, but with flavors that were muddled and sickly sweet. And I often got results that were a little on the soupy side, soaking my paper plate and running into the other delicious goodies I chose from the buffet table. After a little research, I discovered that baked beans are actually really simple – if a little time-consuming – to make. I prefer to start with dry beans because the results are firmer and more robust, but if you don’t have the time to make the beans from scratch, you can sub in canned beans to reduce the time spent. In the interest of full disclosure, I should mention that I’ve been using my new pressure cooker to cook the beans on the first pass (beans are cooked first, then baked in a sweet sauce) to speed prep. If you go this route, consult your cooker’s manual for cooking time. Beans can easily be baked in a foil-covered pan in the oven, but I prefer to use my slow cooker because it allows me to prep early in the day and then walk away until dinner time. Baked beans most often call for Great Northern beans, but I also like pintos (pictured here), navy beans, black beans or a mixture of all four. No matter what combination you choose, you can look forward to a hearty spoonful of that classic summer taste. And if you’re feeding a crowd, you might want to whip up a double batch. Just like the last days of summer, these tasty beans will disappear fast. Soak beans overnight in 8 cups of water. After soaking, drain beans and place in a stock pot with enough water to cover by an inch or two. Bring beans to a boil, then simmer for about 90 minutes, adding water as necessary, until beans are tender. Drain and rinse. 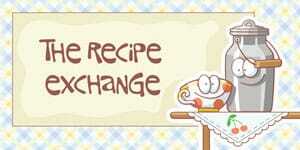 Mix onion, bacon, one cup of hot water, brown sugar, molasses, tomato paste (or ketchup), salt, dry mustard and pepper. Pour drained beans into the slow cooker, then mix in the molasses mixture. Cook in slow cooker on low setting for about 10 hours.